I’ve been playing through the last bits of my Wii and WiiU backlog recently, in preparation for freeing up another HDMI input, and it’s been an experience that has really made me think about the last few console generations and why it’s difficult for me to decide how I feel about this pair of systems. The Wii, in particular, is a weird system because it was a phenomenal commercial success, sold a ton of software – nearly a billion units – and then spawned the WiiU, a system that was arguably dead after its first holiday season. There’s not even any single massive flub that you can point at to explain the crash. If you look at historical flops like the Saturn or the Xbox One’s first couple of years, you can point at the “we’re going to launch five months before we said we were and piss off our retail chains” or “what we think people really want from a games console is Fantasy Football League and not being able to resell games”, and there’s not a ton of debate there. The Wii was a success until it wasn’t, and I can’t believe that it was just because it was a fad, like Cabbage Patch Dolls or Pogs. The theory I’ve come to is that the Wii Remote was brilliant, but a bit of an evolutionary dead end, and this is where I spend a couple of paragraphs defining that by defining the inverse. Before I bought my first console – a Sega Genesis – I’d been exclusively a computer gamer, and computers used one-or-two-button joysticks where you generally controlled movement with the right hand and pushed buttons with the left. This was a control scheme inherited from the arcade machines, so it was natural, and moving from that to my first gamepad was a little weird – now you were moving with the left hand and pushing buttons with the right. Once I’d gotten the hang of the three-button Genesis controller, however, it was a natural progression to the six-button Genesis controller, and then to the Saturn pad, and then the Saturn 3D controller which became the Dreamcast controller which became the Xbox controller, then the Xbox 360 controller, and finally the Xbox One controller which is my new Gold Standard for input devices. Likewise, you can trace an evolution from the SNES pad to the Playstation controller and all of its subsequent iterations. If you’re still with me, then you’ve probably gotten where I’m going with this. The Wii Remote took a small bit of its DNA from earlier Nintendo controllers – the Nunchuck attachment is essentially the middle prong of an N64 controller, and the Remote could be held as a NES pad – but the real draw were the motion and pointer controls, and so much of the Wii’s library didn’t work very well with the control schemes that developers came up with for them. 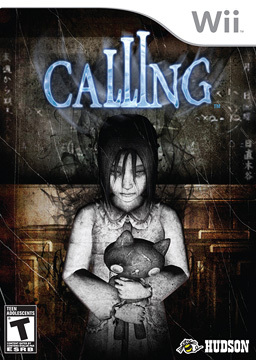 I like horror games, so let’s take “Calling” as an example because it’s about as far as you can get from the Wii Sports / Just Dance / Carnival Games stereotype of Wii games. 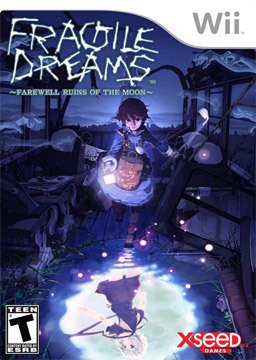 It also sold approximately five copies, so I’ll forgive you if you haven’t played it. Calling was one of a bunch of Wii games that tried to make up for the lack of a second analog for camera control by having the player point the remote at the screen and point near the edges of the screen to change the view. This works great, as long as your TV is located well in relation to the player – if the TV is above a median viewing angle, you are constantly holding the remote up, which is a fantastic way to wear your arms out in a surprisingly short period. It also made frequent use of both the “-” and “1” buttons – take a moment, here, to look at a Wii Remote and speculate on how you are supposed to comfortably press these while keeping the pointer aimed at the screen – AND had a mechanic where you would occasionally be jumped by ghosts and need to flail the Remote about to shake them off. When people make fun of “waggle” controls, “shake the remote to break free” is exhibit A.
I eventually found a position that sort of made this work, but it involved me sitting on the couch, with one leg tucked up and a pillow resting on my knee, and controlling the camera by swinging my knee left or right. Needless to say, I didn’t stick it out for very long. Maybe it will get remastered someday. Fragile Dreams, the next Wii game I tried to play, kept the same camera controls and added an element of “sweep the remote over the screen until the cursor changes to let you know there’s something there you can zoom in on.” which, well… at least it doesn’t have shake-to-escape, but I’m still going to be waiting for a remaster. Weirder things have happened. By contrast, games like Pandora’s Tower made brilliant use of the remote – to the point where, even though it offered a traditional dual-analog control scheme if you had a Classic Controller, the remote was the preferred way to play. 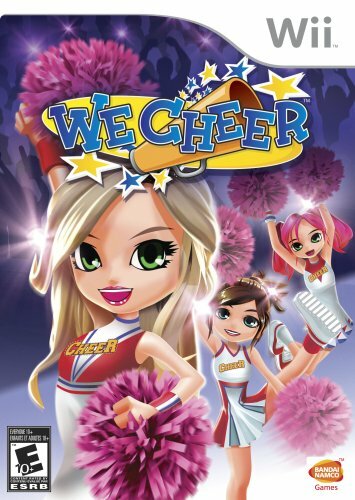 Exergames were also perfectly suited to the remotes – one of the last games I have left in my Wii backlog is We Cheer, and working up a sweat by swinging virtual pom-poms around is both a joyful experience and something that couldn’t possibly be done if I was trying to hold on to a Dualshock. My wife is not allowed to watch me playing We Cheer, as an aside. There are some things no other human should see. It’s bad enough that I occasionally catch two of our cats staring at me in rapt attention. Here’s the issue, though, and I swear I’ve been getting around to this the whole time. Even if you were absolutely in love with motion controls, and even if you found the pieces of software that were designed around them and used them intelligently… it still didn’t prepare you for any other console, and certainly not for a console where you had to split your attention between two screens while manipulating a dual-analog setup and occasionally poking at or blowing on the thing you were holding. I find myself wondering what would have happened if, instead of doubling down and introducing the Wii Motion Plus, Nintendo had started packing the Classic Controller into the base Wii set around 2010 and mandating – or at least strongly recommending – developer support for both control schemes. The Wii balloon would still have shrunken quite a bit – I don’t think there’s any way around that – but I don’t think it would have collapsed with such finality. Anyway, enough of that. I have gotten my Wii backlog down to the point where all I need to do is an awful lot of virtual cheering, and I’m pretty happy to have gotten to this point. I love the Wii and Wii U. I consider the Wii in particular to be a vastly underrated console — despite it selling like bustergangs or whatever the kids say these days, there are a ton of great “normal” games on there that people just don’t ever talk about or acknowledge. There’s several great Final Fantasy spinoffs, for one, including an excellent Mystery Dungeon game; some incredible survival horror games; a number of brilliant arcade games, the “Operation Rainfall” RPGs; a bunch of super-cool platform and puzzle games; some of the best lightgun shooters since we had actual lightguns; and some incredibly original stuff like Fortune Street/Boom Street. I suspect that you are in for quite a time of things, especially if you don’t limit yourself to your home region. The Wii has the potential to be a lot like the 2600, with obscure titles published in only one country or another and completely unknown until someone finds a copy in the wild, as it were. Still, you’re right about the breadth of the catalog. During the big WiiU software droughts, I saw a lot of people trying to explain it away as normal that a Nintendo console didn’t get any third party games, and I always wondered what kind of blinders you would need to be wearing to miss all the crazy stuff that had come out only a generation before.